Vote our server! 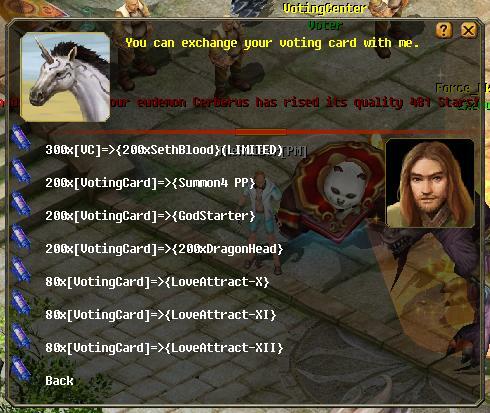 You will help as maintaining this server by vote to gain ranking. 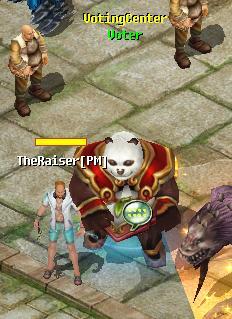 It also give you advantage as it will increase and bring more new player into our server. Stay tuned for more UPDATE!! 1. 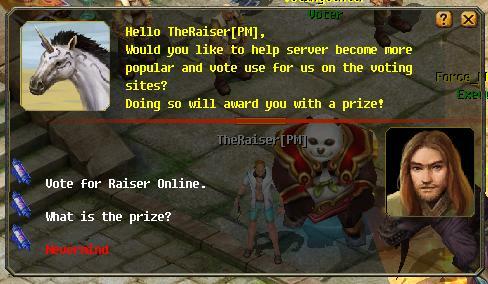 Click "Vote for Raiser Online" untill you receive message box and a popup vote page will shown (vote server ). 2. 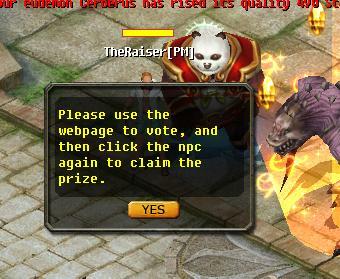 Click "Vote for Raiser Online" once more more to collect vote card. 3. You need to wait 20 minutes to vote again. What is the reward LoveAttract X, XI and XII. Are those casuals, if so any way you can post ss of what they look like?